I've got a fun post for you today. 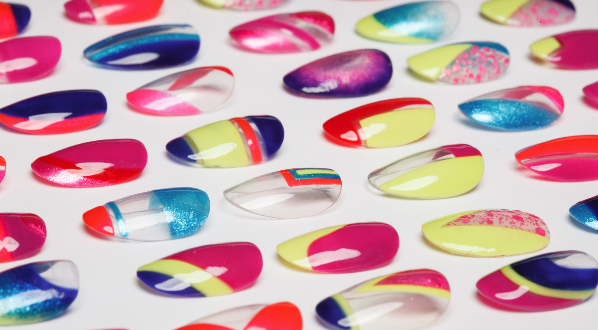 A collaboration between two big names in the nail world! 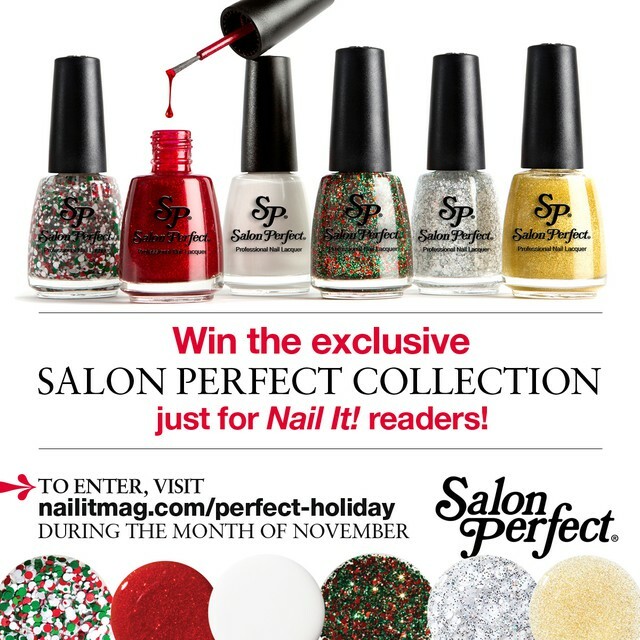 Salon Perfect created three exclusive, not available in stores, Holiday shades. Those three exclusive shades plus three complementary shades (part of the core collection available in Walmart now) are being given away through Nov 30 on nailitmag.com Read on for my thoughts and swatches on these. Salon Perfect Champagne Toast - micro gold holo glitter top coat. This is one coat over Salon Perfect Carbon Copy. Forgive me, I've never used the infamous China Glaze Fairy Dust, but this to me seems like the gold version. It is super pretty, with no formula issues at all. I did actually leave the very tops of carbon copy uncovered on purpose so you could see how Champagne Toast changed it. Salon Perfect He's With Me - Small red glitters in a red jelly base. I put two coats on the tips. Beautiful, no issues with formula or application. Salon Perfect Christmas Cookie - Large red, white and green matte circle glitter with white, red and green matte hex glitter in a clear base. I did one coat over Salon Perfect Mint Julep. The formula is a little thick and I needed to pull out and dab some of the glitters to put them where I wanted them, some spots where the clear base comes on too thick is possible. 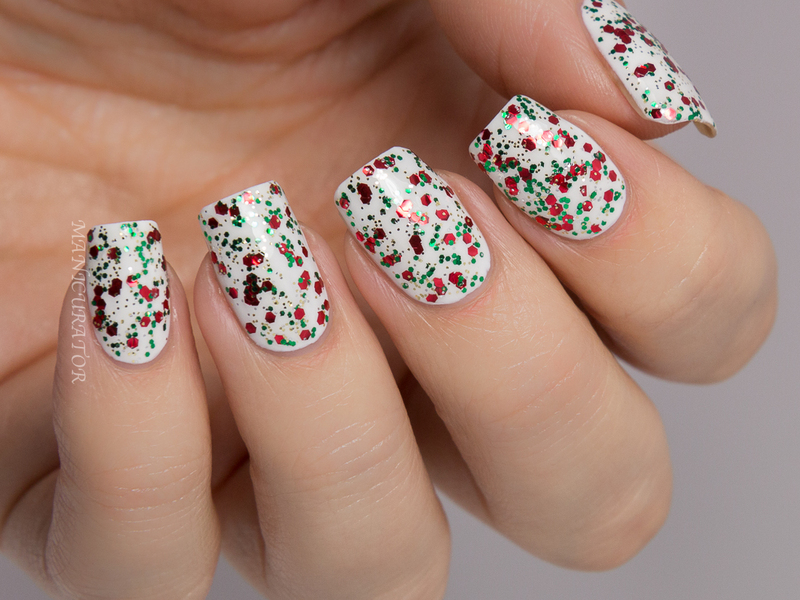 Taking that into account, this is a super cute and perfectly festive Holiday shade! Salon Perfect Glam Glitter - Red, green and gold glitter top coat. Great formula, this is one coat over Salon Perfect Sugar Cube. It's a classic seasonal mix of glitters! 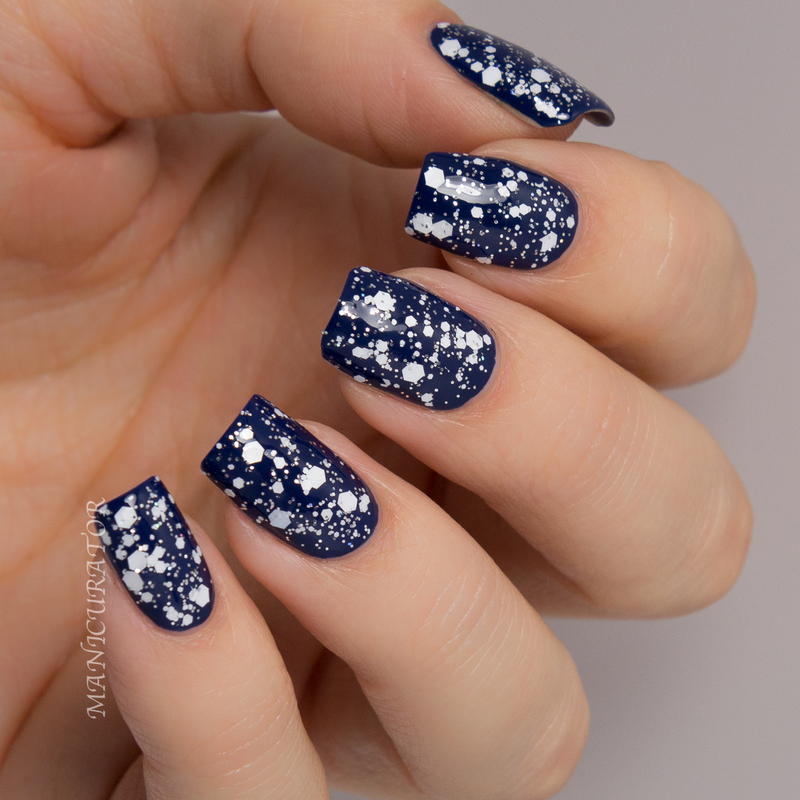 Salon Perfect Snowed In - White matte different size hex glitters with small silver glitter top coat. I reeeally love this one. I have one coat over Salon Perfect Varsity Blue here. Great formula. I'll be reaching for this one again! Any of these jump out as must haves for you? Good luck if you enter!! Beautiful swatches! And the nail art is fabulous! They remind me of knew high socks or converse or something. So cool!! 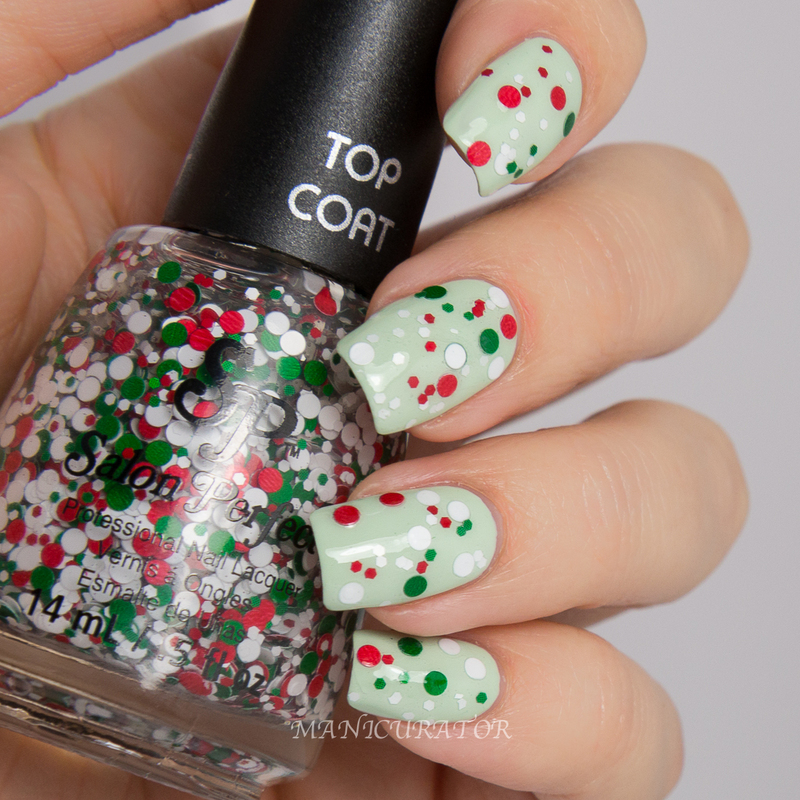 I reeeally like Christmas Cookie over the mint base, such a cute combo! 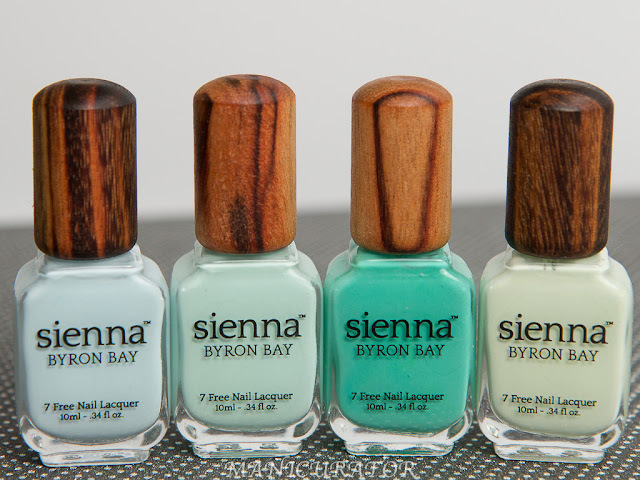 These polishes are making me excited for Christmas hehe! 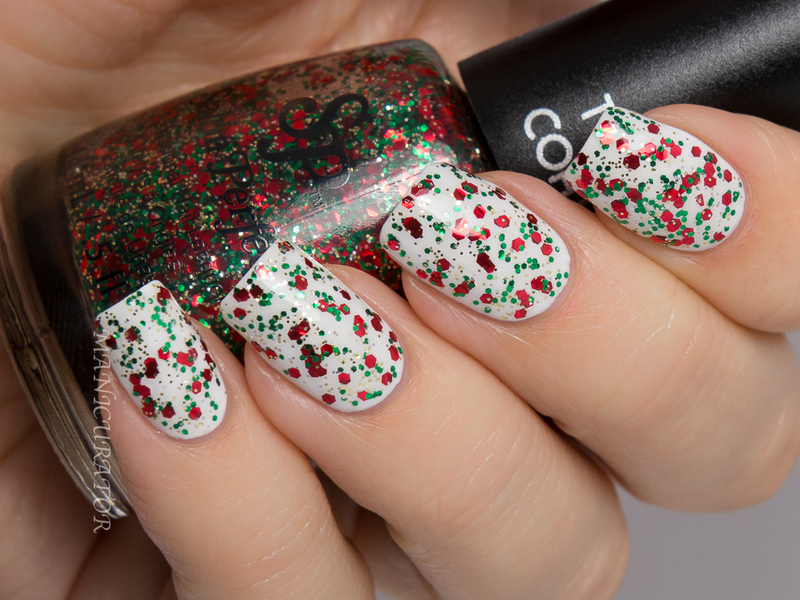 Love the mint base you paired with Christmas Cookie!! LOVE what you did with these!! SO gorgeous! Love these... really wish I could enter to win them ... BOO to being US Only! Hold everything! I need to know every detail about that first manicure with the red, white, and gray. I would love a tutorial on that one. That is absolutely stunning! These are so pretty. I really need to hunt for the white glitter one because I know I'll make good use out of it. I don't hardly find Salon Perfect here so I'll be on the hunt. Oh I just love these ideas! My favorite are the snow white and the candy cane looking ones! Christmas cookie is adorable! I need to find it! I really want CHristmas Cookie but I haven't been able to find it yet!